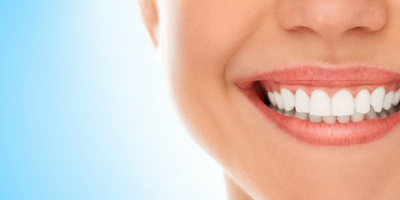 A facility of the highest quality for dentistry in a comfortable setting. I’ve been a member of Dr. Draper’s staff for almost 3 years and couldn’t be happier to be a part of such a wonderful practice where each patient is treated as we would our own family. I attended Loma Linda University where I got my degree in dental hygiene. I have truly found my niche as a dental hygienist and feel so blessed to get to know so many amazing patients. I love helping people learn and make positive changes to improve their oral health. In my spare time I love being active and enjoy the outdoors. Hi! My name is Tonette, and I am a Registered Dental Assistant working for Dr. Draper. I have been working for him since he opened this office and also worked for his predecessor at this same office. I was born and raised in the Philippines, and came to the United States as an adult. Initially I enrolled in college here and took computer science classes and courses in computer graphics. I then worked for a couple of years as a graphic artist, but decided to go back to college and study to be a Dental Assistant. I really enjoy this kind of work, as I get to deal with all type of nice folks and help them with their dental issues. With graphic arts, I basically worked by myself and if often took months before I would finally see my work in print. As a Dental Assistant in Dr. Draper’s office, however, I get to see smiling faces every day, and these are faces that I have helped put a smile on. It is a good feeling to know that you are helping folks every day you are at work. In Dentistry for 36 years. She loves helping people. Helps Dr. Draper with patients needs and restorative work. She is very versatile at work. Helps out wherever she is needed. Handles both front and back Office duties. Great Team Player. Been married for 39 years. Has one Son and 3 Granddaughters. Her interest is playing pool, enjoying her Grandkids. Also taking riders with her Husband on his Bike. Denise helps our patients arrange all phases of their restorative dental care in the sequence that meets their personal goals. She coordinates appointments that are most convenient to our patients’ schedules, make affordable financial arrangements, and works to maximize patient’s dental insurance benefits. Denise’s attributes to our dental office, is her professionalism, and her friendly personality. Denise is married and has two children. Denise enjoys the beach, hiking, fitness, and golf. Denise will always greet you with a smile, and can recounted on to make sure your visit is a success. My name is Tricia. 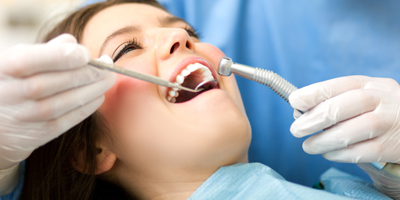 I have worked in the dental field for four years, working in both general dentistry and orthodontics. I take pride in making sure our patients are well informed in regards to their insurance benefits, financial concerns, and future appointments. I have enjoyed getting to know all of our wonderful patients and look forward to building many more great relationships. Our patients are like family and I want to assure that every one of them continue to have a happy and pleasant dental experience when they come to our office. I am a graduate in Business Marketing from California Polytechnic University of San Luis Obispo. I enjoy spending time with my husband and two children. My favorite activities include the beach, running and scuba diving. I love to travel and I am always up for a new adventure.